RIORI Vol. 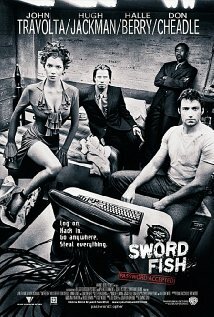 2, Installment 14: Domenic Sena’s “Swordfish” (2001) | "Rent It Or Relent It"
This entry was posted in Action, Movies and tagged Domenic Sena, Don Cheadle, Drea de Matteo, Halle Berry, Hugh Jackman, John Travolta, Sam Shepard, Swordfish, Vinnie Jones. Bookmark the permalink.